Raise your red Solo cups in the air and slosh them around like you just don't care — your favorite couple in Hollywood has just made it official. 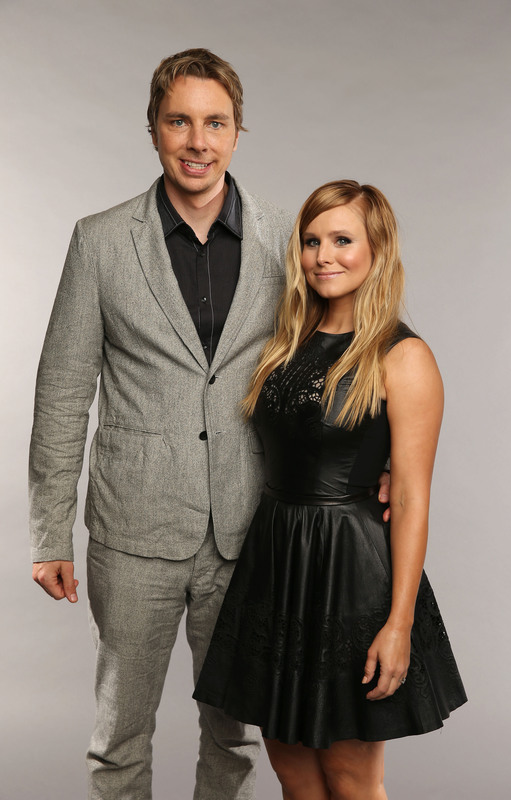 TMZ reports that Kristen Bell and Dax Shepard got married at the Beverly Hills County Clerk Office in a no-frills "ceremony." Reportedly, the two were there just to pick up their marriage license, but when a court employee offered to marry them on the spot, they went into a nearby courtroom and tied the knot. The 33-year-old actress and the 38-year-old actor had been dating for six years and welcomed a daughter, Lincoln, this spring. They've also been busy, professionally speaking. Bell starred in this summer's The Lifeguard and Shepard is on the best show that no one's not watching, Parenthood. We're not having a wedding. It's not a desire of either of ours to have any sort of day of celebration for us. I feel like we get enough attention in our daily lives and we want something sort of private that involves pen and paper. It could be any day. Honestly I could go home and we could do it today, there's no forethought really going into it. And evidently, she meant every word. They got engaged back in June after the Supreme Court dismissed the gay marriage ban, and now, a few months later, they're officially a couple in the eyes of the government. There was apparently a photographer on hand who snapped some photos of their nuptials and an eyewitness said that Bell wept. Aww. If you weren't in love with this low-key couple before, you should be now. They're kind of the best. Congrats to Kristen and Dax!